If you’re like me, you get a lot of emails. And I mean a lot of emails. As a Project Manager, I receive anywhere from 300 to 500 emails a day! Keeping track of all these emails is a challenge. Organizing them so that I can access them at a later date is even tougher. There are 5 indispensable tools I use to help me manage my mailbox (and retain my sanity). Even if you don’t receive as many emails as I do, using these tools will allow you to better manage your mailbox, too. 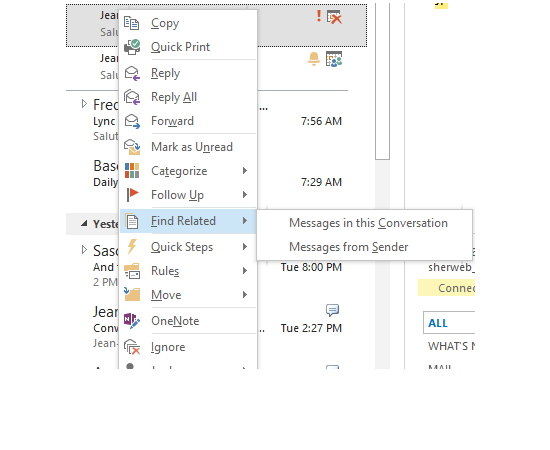 Having trouble with Outlook? Don’t worry, most issues can be easily resolved once you know how. Check out this guide to learn more. I never, EVER delete an email. With the amount of storage and the unlimited hosted plan SherWeb provides, cleaning-up old emails is no longer necessary. Besides, you never know when you’re going to need them. I suggest you check with your IT department to see if you have a mailbox storage limit and what can be done about it. I always keep fewer than 25 emails in my main inbox. 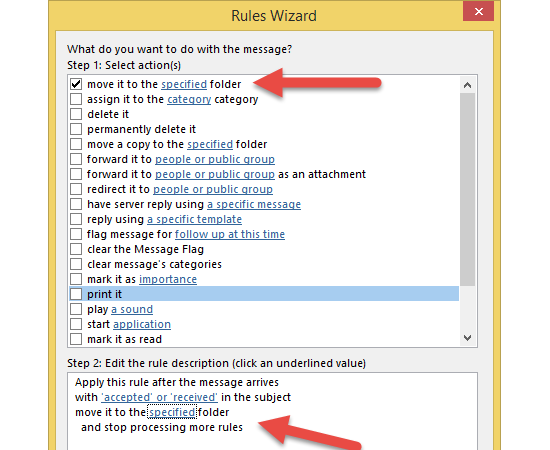 My other emails are stored in folders, either automatically using Outlook Rules or through the Quick Steps process (explained below). If an email is marked as unread, it truly is unread. I do not use the Unread attribute other than for its intended use. With those three rules in mind, here are my tried-and-true “weapons” for controlling, tracking and organizing the massive amount of emails I send and receive each day. Afraid of tech support nightmares? Download our fact sheet Cloud support quality matter to learn more about your provider’s main support performance metrics and results. 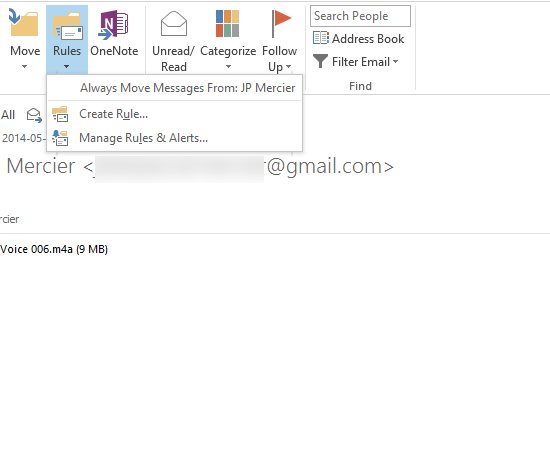 To automatically apply categories to emails, I always insert a prefix in the email subject I send (e.g. Project Contoso:). 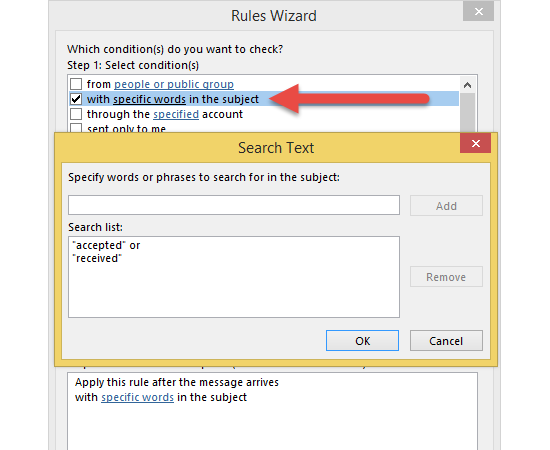 Then I setup a rule for both inbound and outbound emails that categorizes all messages based on the prefix found in the subject line. What about automated alerts, reports and newsletters? 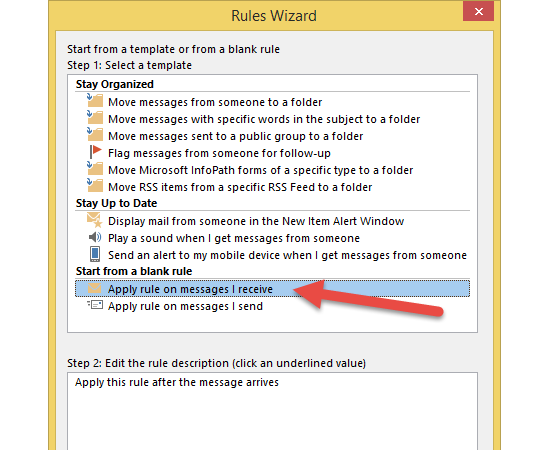 I also use rules to automatically move them from my inbox to dedicated subfolders. I begin with a master subfolder that will be the root for these emails. Personally, I like to name it “Automatic Archive”. Once this is done, I create a rule based on the unique criteria of the emails notifications I want to classify. 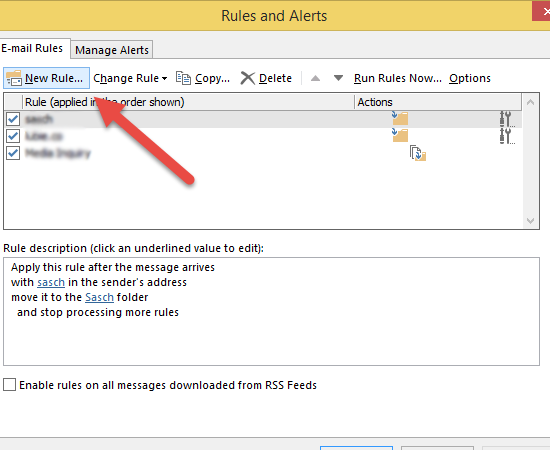 If needed, I’ll also have the rule automatically mark the email as read. 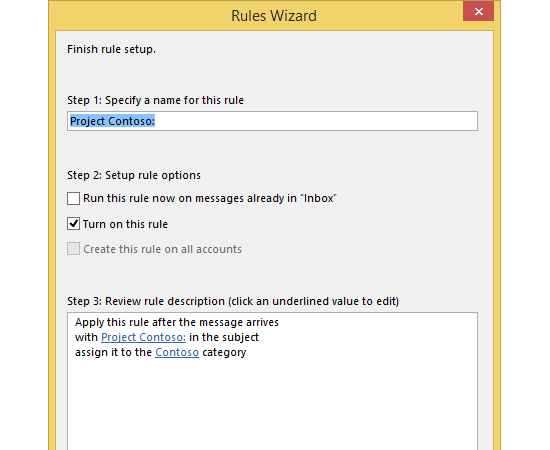 This trick is useful for all types of emails notices, like meeting acceptance message. I schedule tons of meetings as part of my job, but I only want to read the reply when the meeting is either declined or marked as tentative. I don’t want to read every acceptance notice, but I do want to save them if I ever need to know if someone is attending a meeting. So I have these responses automatically filed in their own subfolders. Instead of using only folders to organize my emails, I also create a category for each project I manage and apply it to any emails that do not apply to any of my rules. 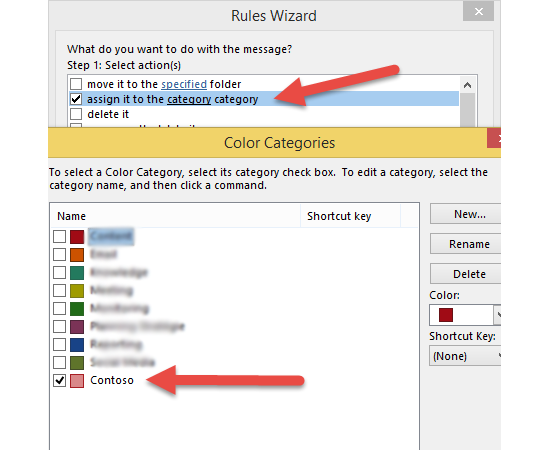 You can apply more than one category to an email; categories can even be applied to tasks and calendar items. Categories are a quick way of doing an initial triage of your inbox. 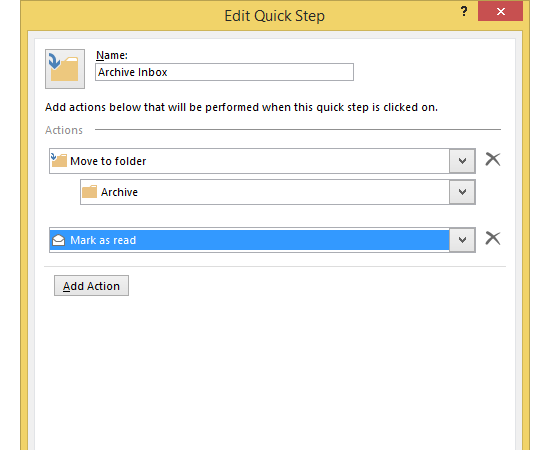 By using Quick Steps, you can quickly perform actions such as marking an email as read and move it to an Archive folder in one click. 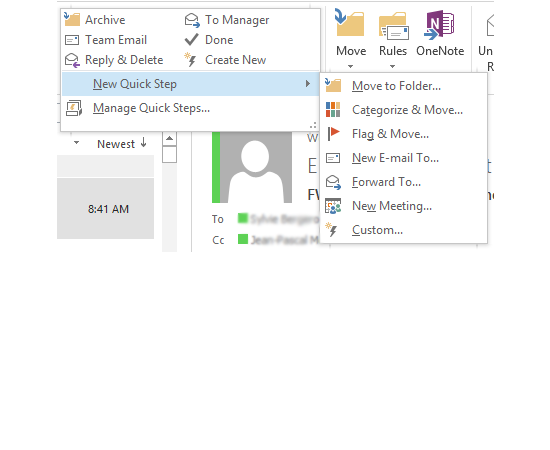 This helps create workflows that simplify email management. I flag my emails to remind myself to check if an action item has been done by the required date. I apply flags to both sent and received emails. 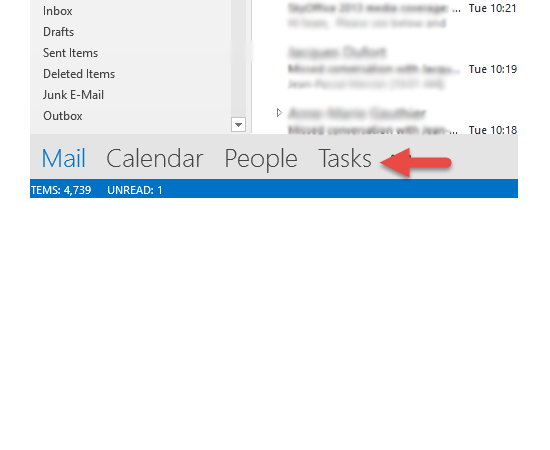 Then, each day, I skim through these items in the Tasks section of Outlook. This gives me a quick overview of the follow-ups I have to do. 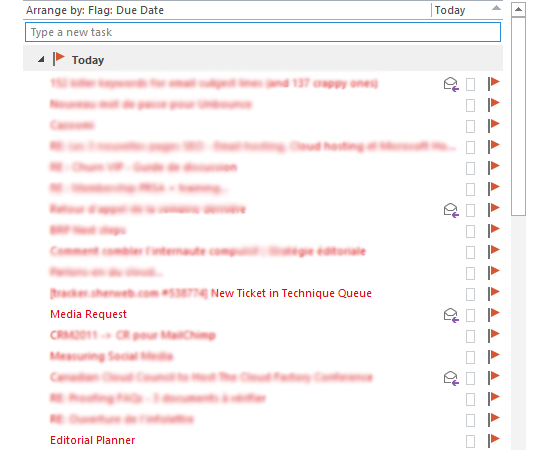 To add a flag to an email, simply right-click it in the flag column to select one of the available mark-ups. Keeping your mailbox clean also implies not overusing subfolders to organize emails. 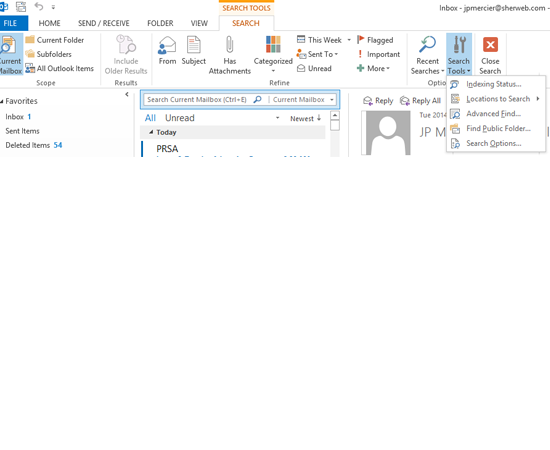 Instead, I rely on the Outlook Search feature to find emails. 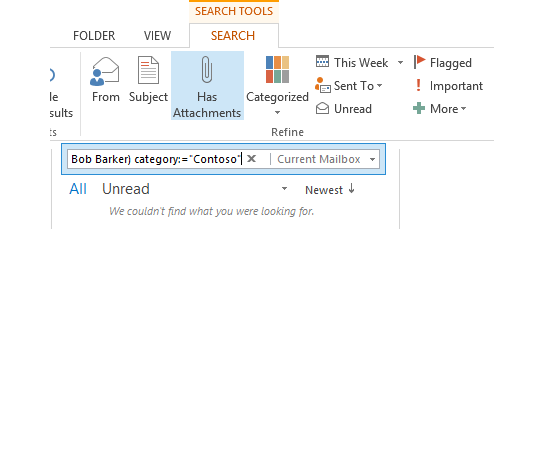 The Search toolbar displayed at the top of Outlook includes everything you need to easily and quickly search your emails. 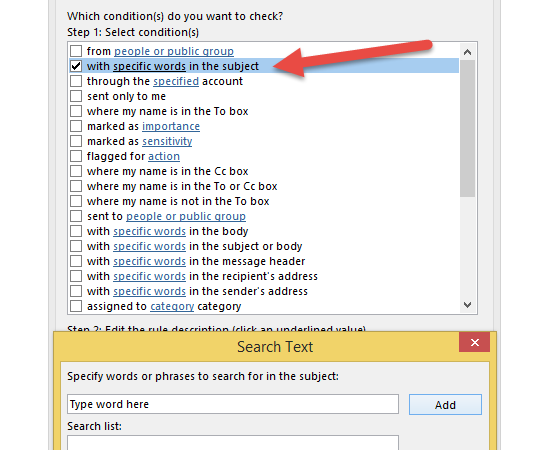 Simply click on the text box to activate the Search functions. Scope defines the location of your search. It is based on your current location in the folder structure. I usually choose Current Mailbox. 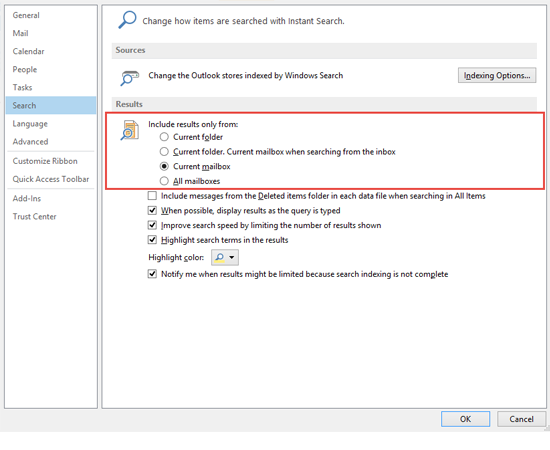 The default settings can be changed in your Outlook Search Options. The most important section is the Refine category. It lets you add parameters to your search query. You can focus your search on flagged emails, or on certain categories. The “From” field is also very useful. You can also access your search history by selecting the Recent Searches option. 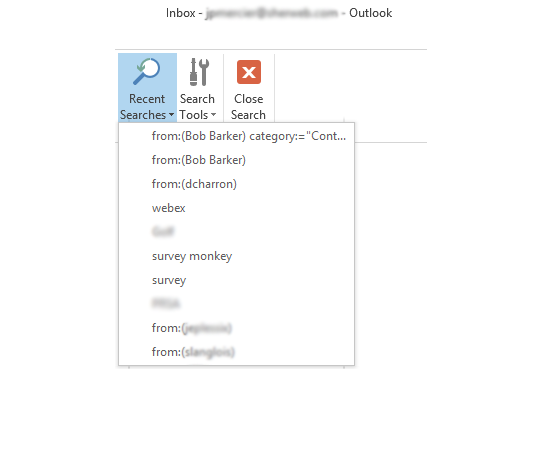 One last thing: To search a conversation, you can use the Find Related contextual menu by right-clicking on an email. At the end of the day, it’s all about finding a system that works for you. Take these tips and adapt them to your situation. An uncluttered mailbox is always a good thing, but being able to quickly find the information you need is the ultimate goal. If you have any tips that you use but that weren’t listed in this article, feel free to add them in the comments. 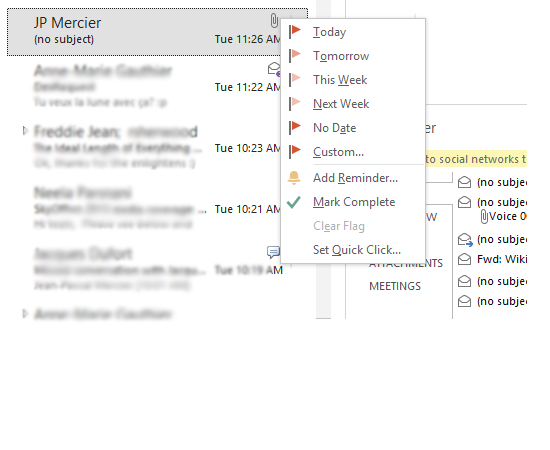 Outlook integrates well with most applications and devices. But like most email solutions, it doesn't work perfectly all the time. This guide covers some of the most common issues and how best to deal with them. David Charron has been in IT for over 14 years, working in system administration, programming, databases, customer support and, more recently, in project management.